Owen Fitzpatrick is the Lead Portfolio Manager and a Senior Research Analyst at Aristotle Atlantic. 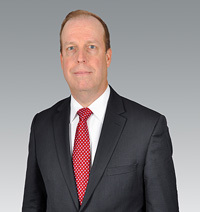 He has over 30 years of experience in the trust and investment management industries. Prior to joining Aristotle Atlantic, Owen had multiple roles at Deutsche Asset Management, including Managing Director and Head of the U.S. Equity Platform. As Head of U.S. Equities Owen oversaw all active U.S. equity strategies, and as a Portfolio Manager, he managed the Large Cap Growth and Large Cap Core portfolios. Prior to Deutsche Asset Management, Owen managed equity portfolios for Chemical Bank, where he was also responsible for research coverage of the consumer cyclical sector. Additionally, he served as a Portfolio Manager at Manufacturers Hanover Trust. Owen earned his Bachelor of Science degree in Finance and his MBA from Fordham University. He is a CFA® charterholder.